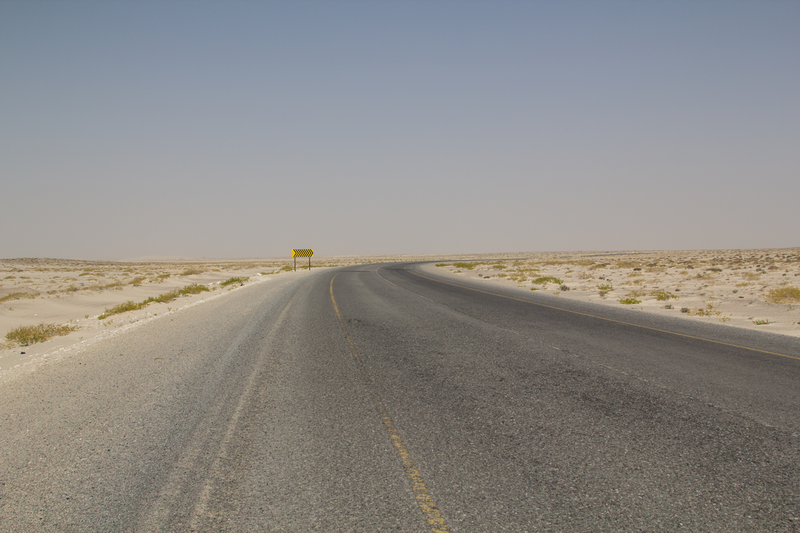 The next stint lead from Sur via Shannah to Masirah Island. 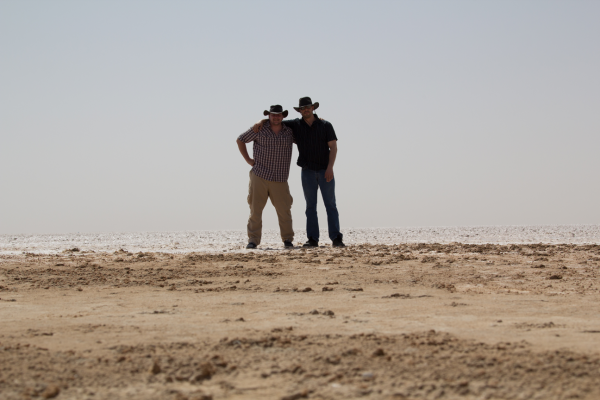 We fancied crossing the enormous dune south-west of Al Kamil Wal Wafi, but we had to catch the ferry in Shannah departing at 15:00. Unfortunately we could not cross these beautiful dunes, the sand field is truly large, check it out in satellite view in google maps. When I return to Oman, this will definetly be on my todo list! 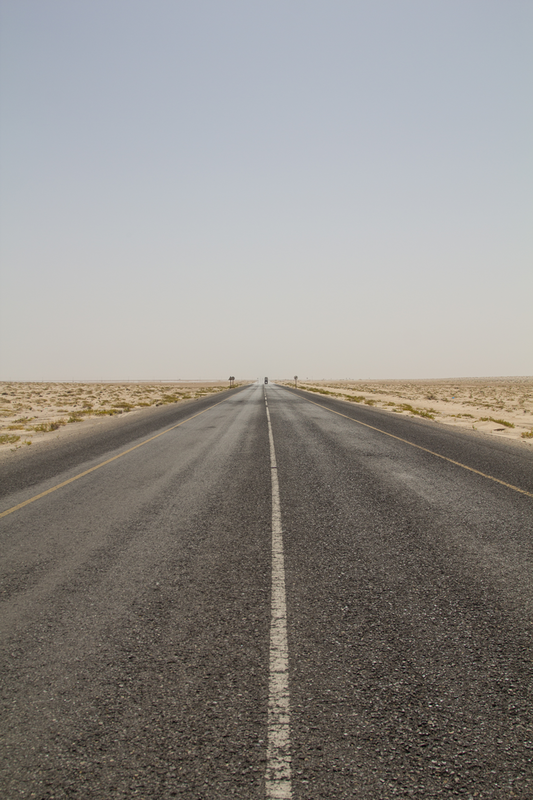 But as we were just one single car and lacking of time, we had to drop it and head to Shannah by road. We left the street from time to time to explore the surrounding area and to praice driving in loose sand. Near Shannah large salt pans are located, but one cannot miss them driving to Shannah port. These salt pans form a barrier for a bird sanctuary lying behind them at the coast at Barr al Hikman. The ferry ride takes about one hour, depending on the sea, the ferry is quite modern and sports two large rooms with AC, separated by men and woman. Be sure to confirm the dates of departure locally or online. The ferry is operated by National Ferries Company run by the government of the Sultanate of Oman and the price (two way) for an adult is 6 Omani Rial and a 4WD costs 22 Rial. Exact prices can be found here. You will need passports and car papers and you can pay with credit card. The bureau of NFC is not located on the pier, so buy the tickets at the office in the small container on the right before driving along the pier to the ferry. 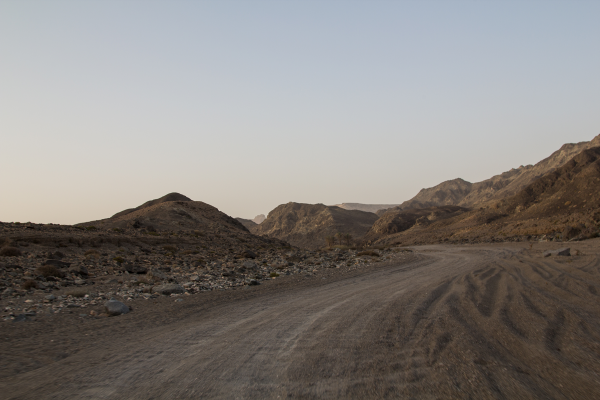 Masirah Island is the largest island in the Sultanate of Oman, once a British military post, now the Royal Airforce of Oman ist stationed there. The island has an important hatching ground for loggerhead sea turtles. Kite boarders will appreciate the steady winds during monsoon time from June to August, June is the hottest month during the year. 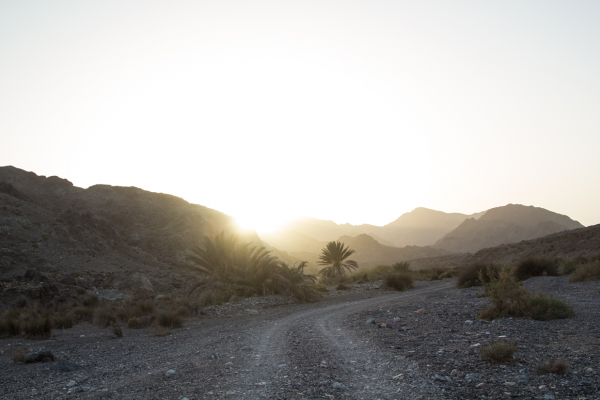 The wadi was really beautiful and interesting to explore and the dried out riverbed, for us beginners, offered several challenging passages. 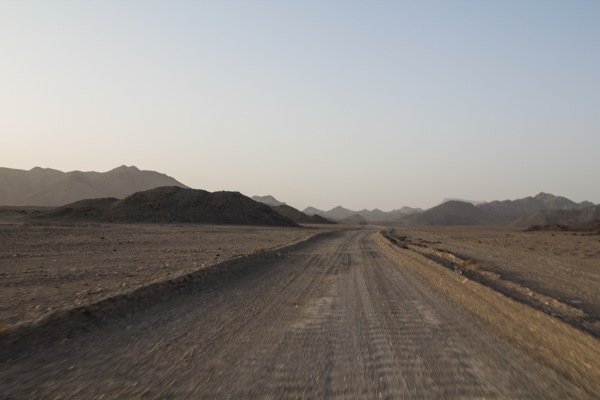 Especially when you exit the wadi, you have to take a steep and rinsed out right turn featuring some nasty lane grooves. All in all Masirah island is definitely worth to explore it over several days and enjoy the large beaches. 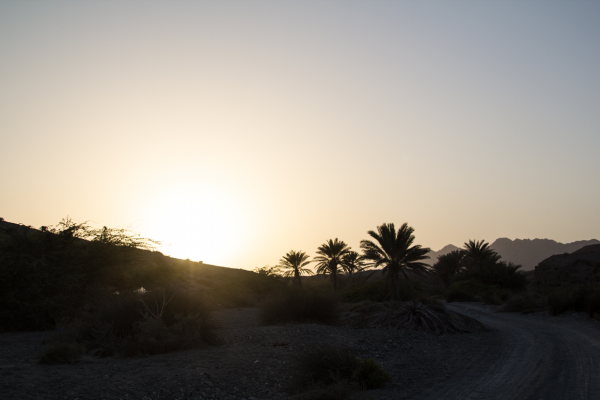 If you seek solitude and calmliness Masirah Island is your spot. 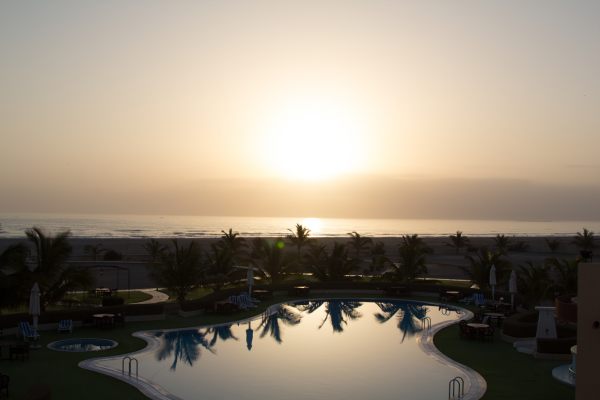 Eventhough I stayed just one night, I would strongly recommend the Masirah Island Resort. The service there was ultra friendly, we were given a welcome drink and they refilled our cooler box with ice without hesitation, the food in the restaurant was good and the rooms were nice.